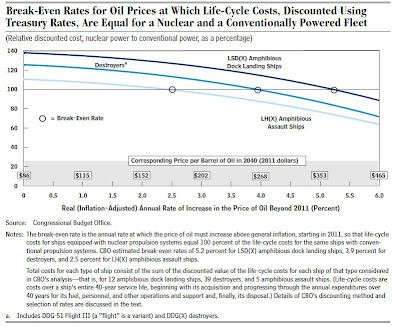 Source: The Cost-Effectiveness of Nuclear Power for Navy Surface Ships. "... In recent years, the Congress has shown interest in powering some of the Navy's future destroyers and amphibious warfare ships with nuclear rather than conventional (petroleum-based) fuel. 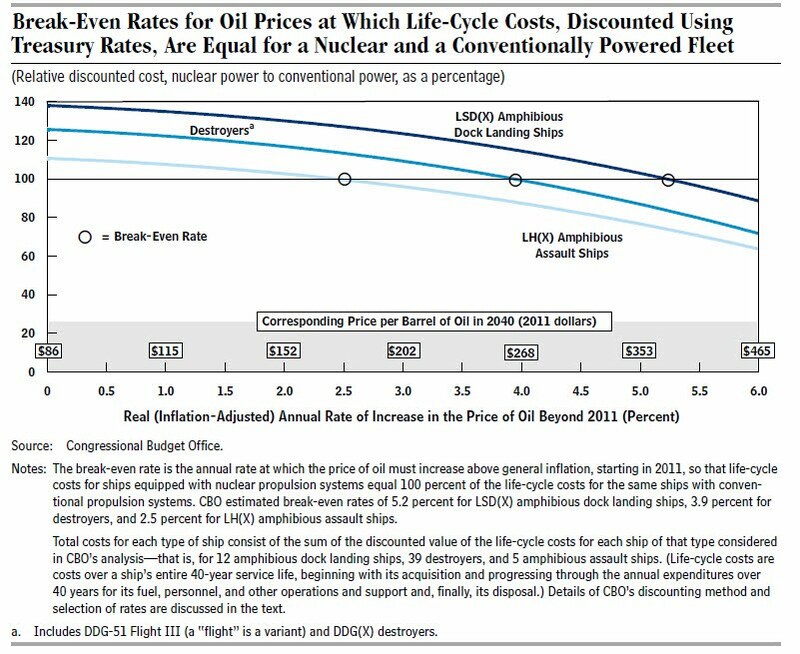 In this study, the Congressional Budget Office estimated the difference in life-cycle costs (the total costs incurred for a ship, from acquisition through operations to disposal) between powering those new surface ships with nuclear reactors and equipping them with conventional engines..."